If you didn’t get on Draft Kings for the Sunday Noon Kickoff’s, you didn’t miss out on all the Week One NFL Fantasy Action………. DraftKings.com has lined up a Special Monday Night only $500K Fantasy football contest for players who just can’t get enough fantasy or for whatever reason missed out on all the Sunday NFL Fantasy Action.. 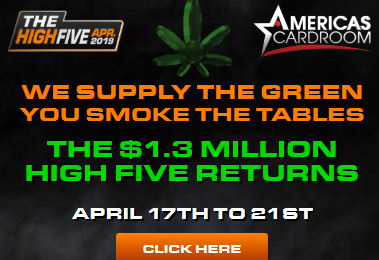 This one night event will have a $500,000 Guaranteed prize pool. Is a multi entry contest (up to 200). The first place finisher will win $100,000, with several prizes over $1000. In total, this contest will award the top 40,870 finishers. Matt Ryan ATL QB, Julio Jones ATL WR, DeMarco Murray PHI RB, Sam Bradford PHI QB, Jordan Matthews PHI WR, Adrian Peterson MIN RB, Teddy Bridgewater MIN QB, Colin Kaepernick SF QB. There will be a great deal of scoring on the PHI-ATL game, as both teams have high scoring offenses and the defenses really aren’t that good. This game has the highest predicted score this week based on the Las Vegas Lines. Building a lineup on DraftKings with a smaller player field is a lot easier than you think and you’ll like the team(s) you can assemble. Everyone will be able to watch their players, cheer their players, sweat the final minutes and collect their winnings all in one night! It’s the perfect way to enjoy Monday Night Football. 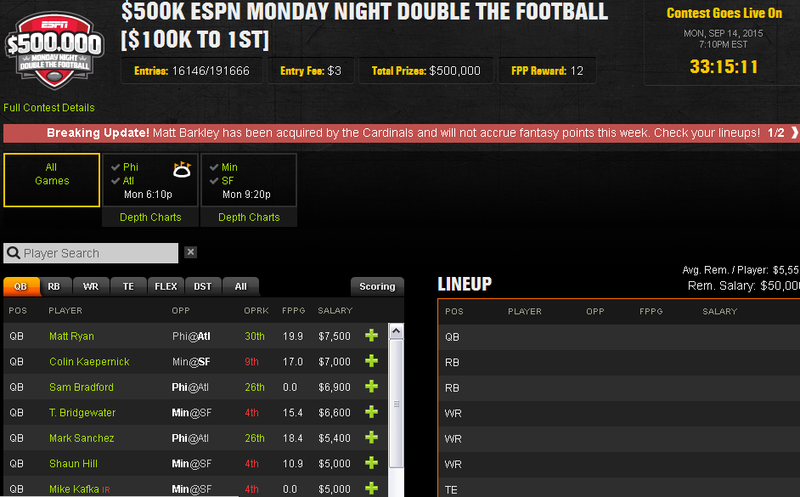 If you join DraftKings right now, DraftKings will give you a Free Entry to your first contest absolutely free. Since this is only a $3 contest and there are plenty of lineup options, submitting multiple lineups makes complete sense and can increase your chances of taking home the top prize of $100K significantly.